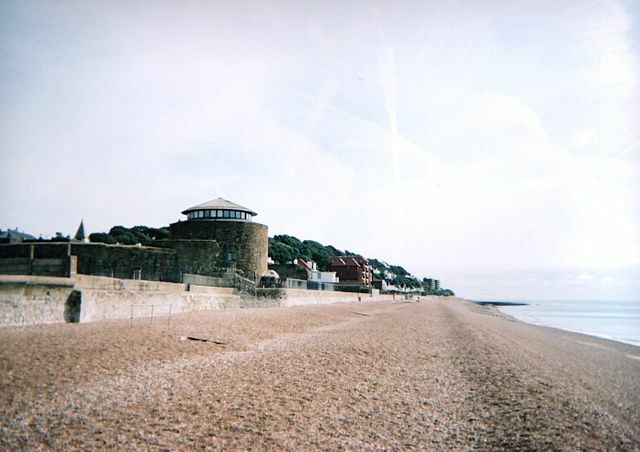 Notes: Sandgate Castle is a coastal castle at Sandgate near Folkestone in Kent. It was originally built as an artillery castle in 1539-1540 by Henry VIII of England as part of his chain of coastal defences in response to the threat of invasion. As these forts were devised by Henry VIII, they are known as Device Forts. It was built to defend a vulnerable stretch of coastline and due to its proximity to the French coast the site has been constantly defended and refortified.